Bhaktapur, The Grade XI examinations started today at 7 am across the nation with attendance of 369, 426 students. The Higher Secondary Education Board (HSEB) successfully concluded the Grade XII examinations on Friday before starting the Grade XI examinations which will continue until May 25. In the examinations, 921 superintendents, 2512 assistant superintendents, 1921 monitors, 13, 430 invigilators, 1641 staffers, 2476 office assistants and 11,092 security personnel will be deployed, Office of the Controller of Examinations said. The examinees also include differently able students, and students from prisons and child rehabilitation centres. 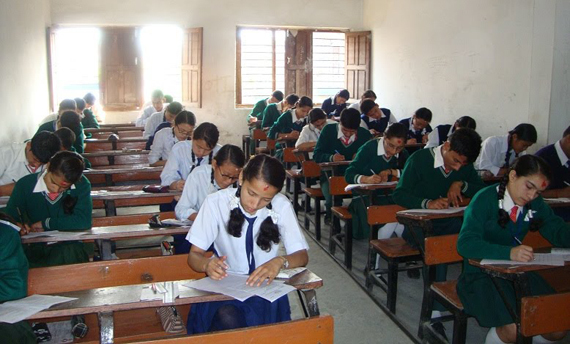 Anyone found to be disrupting the examinations can be slapped with up to six months' imprisonment and fined Rs 100,000. If en masse cheating is found to be taking place, the entire examination centre can be cancelled out, as per the law.